Highway 529 is an old provincial highway that runs from the Parry Sound area (about two hours north of Toronto) to Sudbury. 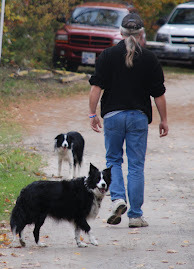 The highway was long ago supplanted by Highway 400 and is basically now used mostly by locals and the odd tourist. The stretch of this highway from Springhaven Lodge to Sudbury is not much of a highway; narrow, unmarked, stretching for kilometer after kilometer of dense bush broken by the Matewan River and the odd side road. A couple of years ago we were headed along this highway to the small community of Byng Inlet for a Scale family function. Collette's brother Dennis was driving when he suddenly pulled over to the side of the road. There was nothing there. Just bush. And more bush. Turkey vultures circling overhead. Wind in the pines. Dusk creeping in, its crepuscular blush adding a smear of color to this grey and green world. I wondered, in this (to my city eyes) lonely place if this was it ... I had finally pushed Collette's family too far and I was going to be buried in a bog somewhere. Well, I was about to learn about some burying, but not my own. 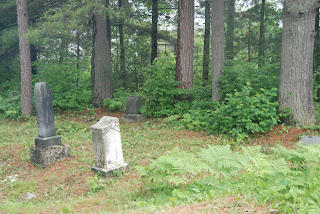 Dennis wanted to show us an old graveyard, overgrown by the dense bush, dating back to the early or mid teens. 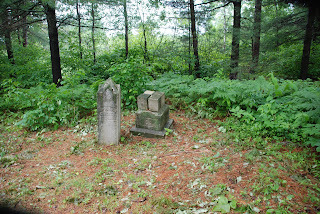 We went wading through the mosquito infested thickets and were soon finding a small group of old gravestones and markers a place that had become so much a part of the landscape I would have had no idea that it was there at all. Last weekend Collette and I decided to return to the graveyard, armed as we were with our "good" cameras for the family wedding. The site has changed in the interim. The area has been cleared back a bit and signs have been erected. You still have to pretty much know what you are looking for, but it was much easier for us to find. 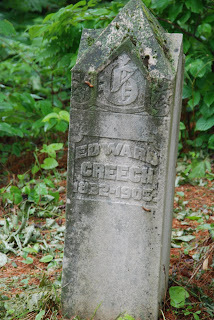 There are about 16 graves in the cemetery, the oldest dating back to 1890, the most recent 1922. Dennis seemed to think that most of the deaths had resulted from a typhoid epidemic but we have been unable to confirm this. 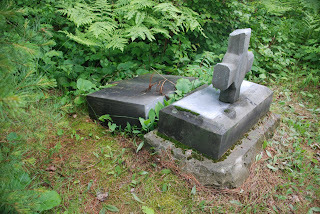 There is a family tomb of some kind here, the family is McCaffery and there is at leas one infant buried here. There is one soldier buried here, Private Ramesbottom, who "died of wounds received at Cameri" at the age of 26. His is the most recent grave but other members of his family are buried here. Collette found this toppled stone surround by bits of extremely weathered and aged wood. 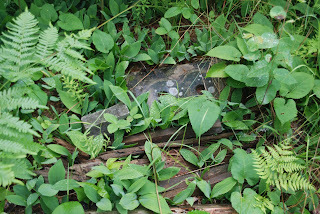 Her research led her to the fact that this is the grave of a young child, and the wood is the remnants of a cradle that had been built around the marker. 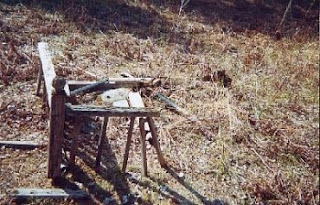 Here is a picture, from a historical website, of what this grave looked like years ago, date uncertain, but the structure of the cradle is more evident. Apparently there are more graves than we were able to find. This time of year the area is still quite dense with bush and even denser with mosquitoes. The day we went it had been raining for most of the morning and our little blood sucking friends were viewing the three of us (myself, Collette and Miss Hayley) as a movable feast so we were not really willing to push even further back into the bush. This cemetery was abandoned when the logging industry in Byng Inlet, like many in this part of the province, folded to economic pressure. 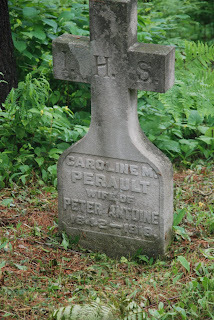 Though many of the grave markers were in rough shape, you could still catch a glimpse of the stories, and the past lives that they represented. There is more to this graveyard and to this story than we have been able to uncover thus far. 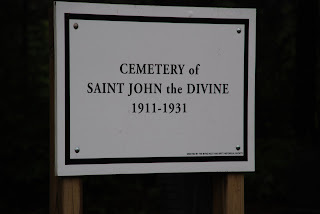 And there are more "lost" cemeteries in this area. I suppose that is not unusual, especially in areas that have boom and bust economies, like lumber and fishing and even tourism. Of course, I made a video. Images are from the Sony PD 170 I brought up to do the wedding. Music is from a famous Hollywood movie. 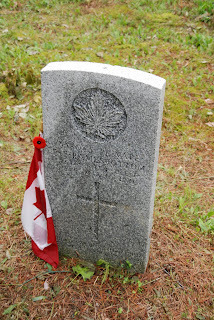 Byng Inlet Cemetery from Victor Kellar on Vimeo. 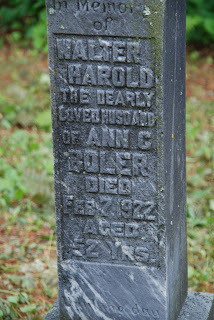 Walter Harold Boler (name on grave stone in Byng Inlet) is my great-grandfather. It says "beloved husband of Ann." She was his second wife. 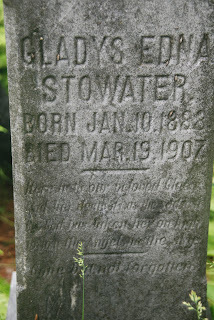 I think the child's grave is that of Walter's son who died at 3 months along with Walter's first wife, who died one day later than the child. Victor Kellar, please contact me. Thanks.